Death doom - especially that of the esoteric stripe is a genre that requires a lot of patience. It's a genre of music that ebbs and flows powerfully, that constantly hints at great new things and forces you to choke on the bitter pills of unreality served up time and time again. 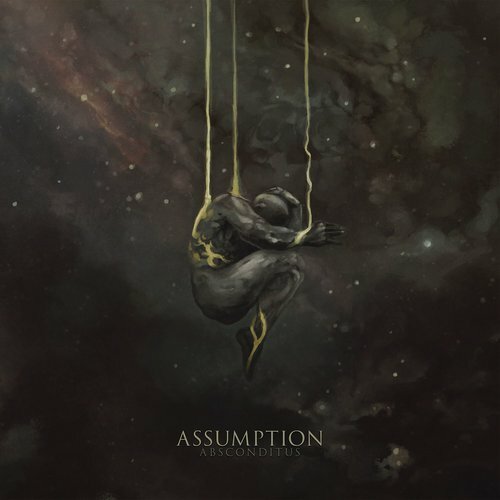 the crushing might of Assumption is a recent example of this, their new record, Absconditus standing proud as a stellar example of how demented and majestic this music can be. Soaring forward on the strength of a truly punishing bottom end - this is what the genre was made for. I think what gets me here is not just the extreme song lengths (both the opening and closing tracks clear 15 minutes in length) but the willingness to really push extremes with the styles of riffing and the esoteric elements brought in. The colossal crush you find here creates an almost droning majesty. With this kind of music I have always found the tendency for looped riffs to be rather mesmerizing. 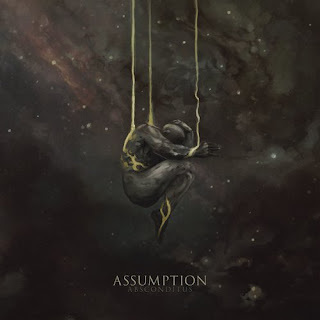 Assumption play on these tropes but bring in more than a few other interesting songwriting tricks, including thrilling contrasts in order to take things to the next level and provide a sense of transcendent beauty. Crawling forward with the same grim inevitability which will end all of our lives, Assumption reflect the truly bleak side of this scene. Reminiscent of bands like Thergothon there is a sense of crippling destruction that serves to make Absconditus a true punisher of a record. It's an album that has countless layers and which encourages the listener not just to dig in, but to get lost in the massive soundscapes. Sure this is some goddamn challenging music, but that's the entire point, and why I can never escape it.